Facebook Denki Blocks! – Now Live! “What have Denki been doing this week?”, I hear you ask. “What’s that?”, you enquire, intrigued. “Cool!”, I hear you exclaim. 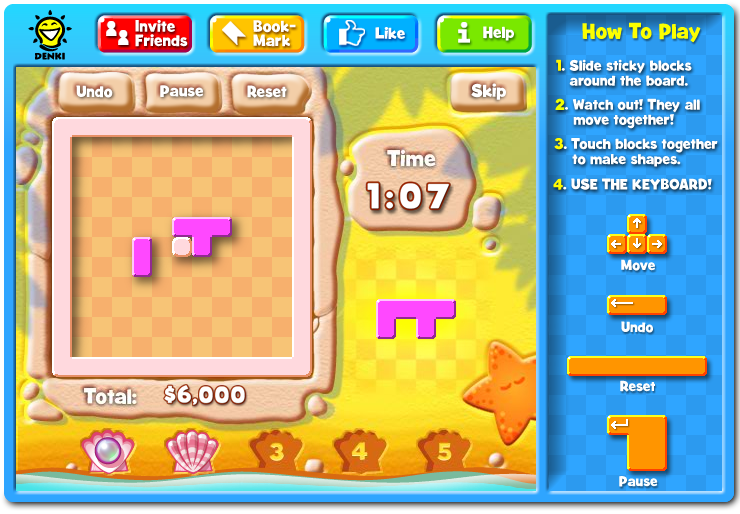 Oh yes, as of today you can play Denki Blocks! Daily Workout on Facebook – FOR FREE! It’s still a work in progress at the moment, but don’t let that dissuade you from putting it through its paces; a Denki work in progress will probably feel more finished that a lot of the finished Facebook games you’ve played. It’s the same Denki Blocks!, but not quite as you know it. Denki Blocks! Daily Workout presents you with a BRAND NEW set of five puzzles EVERY DAY – the same five puzzles as the rest of the world, so it’s easy to compare your performance with friends. These are special bite-size puzzles, designed to test those essential Denki Blocks! skills. But you only get one shot at solving them, so make it count! 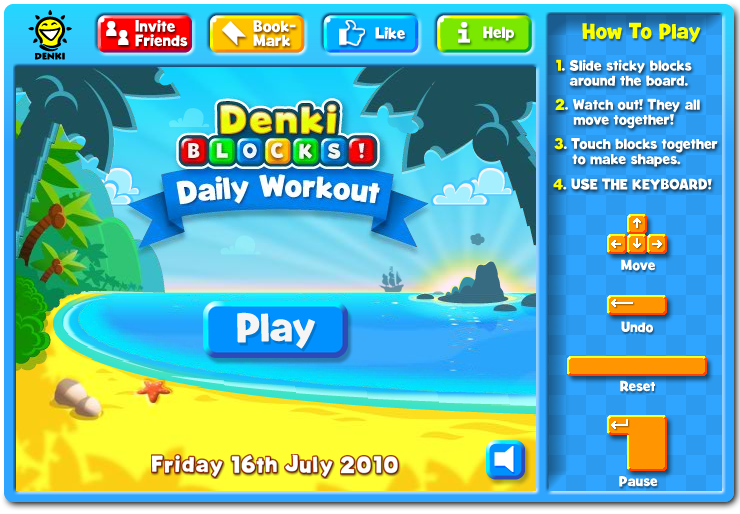 Whether in preparation for the nefarious challenges of the iPhone version, or perhaps just as a warm up for the day ahead, there’s nothing like a little bit of Denki Blocks! to get the old brain cells pumping. For anyone that remembers the Game Boy Advance version of Denki Blocks! you might recognise Denki Blocks! Daily Workout as an intriguing blend of Puzzle Mode and Workout Mode. We’ve been living with it for a little while now and really enjoying it, but we’re far more interested in what everyone else thinks now. We’d like Denki Blocks! Daily Workout to become a welcome part of your daily routine, so have a play and see what you make of it. Do be sure to leave a review and let us know what you like and what you don’t like. Is it “shareable” as is? Or is there something we would need to add to make you want to tell your puzzle-loving friends about it? Whatever your opinion we’re all ears, and keen to hear your ideas and suggestions for improving Denki Blocks! Daily Workout in future. In the meantime, please be sure to ask all your friends to give it a try. The more feedback we get, the better chance we have of turning it in to everyone’s perfect Facebook puzzler over time.